Screening using questionnaires include Epworth, Berlin etc. 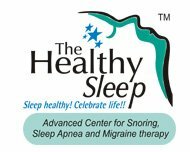 There are various tools and sleep kits available to determine if a person is suffering form sleep apnea and other sleep disorders. However the 2 most widely used are the Epworth sleepiness scale and the Berlin scale. The Epworth Sleepiness Scale or ESS is a self-administered questionnaire to measure a person’s general level of daytime sleepiness. It has become the world standard method for making this assessment. The ESS scale has a set of 8 questions, each depicting common scenarios that take place on a daily basis. People are then asked to rate, on a 4-point scale (0 – 3) and their chances of falling asleep during these activities. It does not ask people how often they doze off in each situation. Rather it questions what the chances are that they would fall asleep whenever they were in each of the 8 situations. However it is important to keep in mind that this scale should not be used for self diagnosis. It is intended to help you identify your level of daytime sleepiness, which might suggest an underlying problem. The final ESS score is the sum of 8 question scores and can ideally be answered in 2 or 3 minutes. The higher the score, the higher the person’s level of daytime sleepiness. There are many other subjective and objective methods for measuring sleepiness, but ESS has several advantages, the most obvious being it being very cheap and simple to use, which can cater to large audiences. The Berlin scale was developed in 1996 in Berlin, Germany and comprises of a set of 10 questions. This questionnaire has become extremely popular owing to its accuracy in predicting the presence of sleep apnea in many people. The Berlin questionnaire focuses on the risk factors like high BP and chronic behaviors like snoring that indicate the presence of a sleeping disorder. It is useful because it helps you identify the problem so that you can then consult a sleep specialist and discuss further treatment options for it.